Greiner Buildings is your premier building company for custom metal post frame buildings in Adel, IA, and surrounding areas. 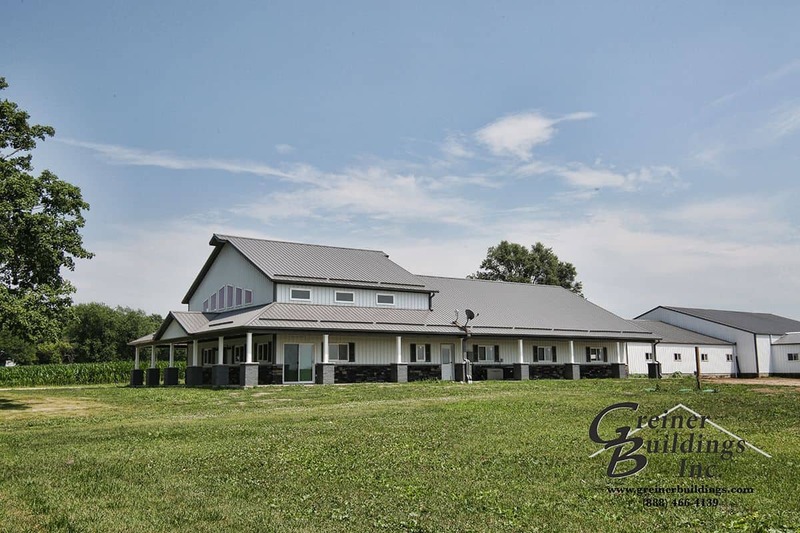 Whether you are looking for a custom pole barn home, hobby shop, or storage building, Greiner Buildings is the name to call. As a combination of shop and home, the SHOME® by Greiner Buildings is the perfect solution for modern day country living. This custom pole barn home is specially designed for your family’s needs, with an attached workshop, hobby shop, or other specialty building such as a man cave or garage. Click here to learn more about the SHOME®. To get started with your free quote on a custom post-frame building, contact Greiner Buildings today. We are proud to serve Adel, IA, and surrounding areas. Take a look at our testimonials to see what our clients have to say about us!